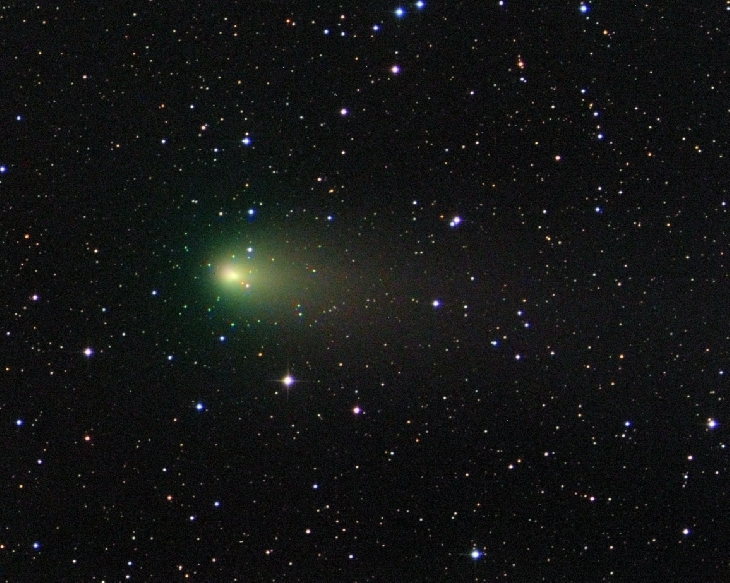 Bright green comet 21P will light up the skies of September – And you can even see it with binoculars! September brings a chance to see a comet. It will be bright enough that you can readily glimpse it using binoculars, though it will be much easier to see using just a small telescope. Comet Giacobini-Zinner was discovered in December 1900 by the French astronomer Michel Giacobini at the Nice Observatory in France. 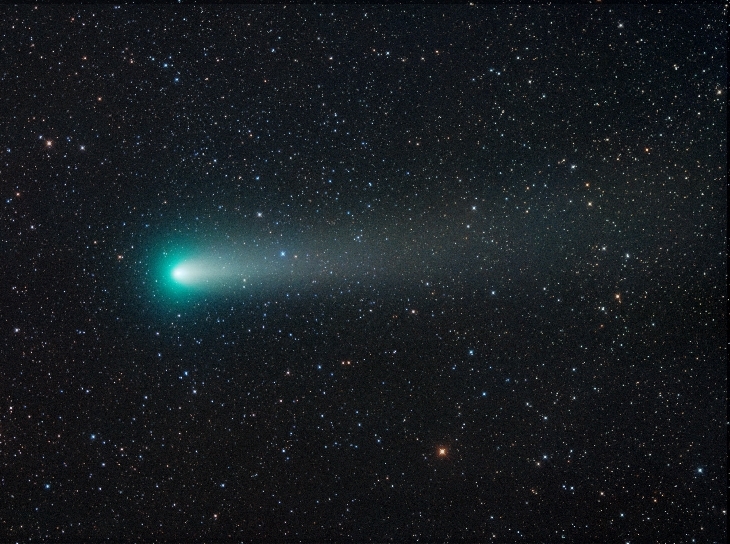 Initially, Giacobini calculated that this newfound comet had a relatively short orbital period of just under 7 years, but no one saw the object during its anticipated 1907 return. Then in 1913, about six months before the comet was expected to return to perihelion, the German astronomer Ernst Zinner at the Dr. Karl Remeis-Observatory in Bamberg, Germany, discovered a comet. It carried his name for a week (going by “Comet Zinner”) before astronomers figured out that it was, in reality, the lost Comet Giacobini, which had a slightly shorter orbital period than astronomers originally calculated. Ever since then, the comet has borne the names of both men. Observers missed Comet 21P/Giacobini-Zinner twice more in 1920 and 1953, when it wasn’t well placed for observation, but it has been seen at 14 other returns. 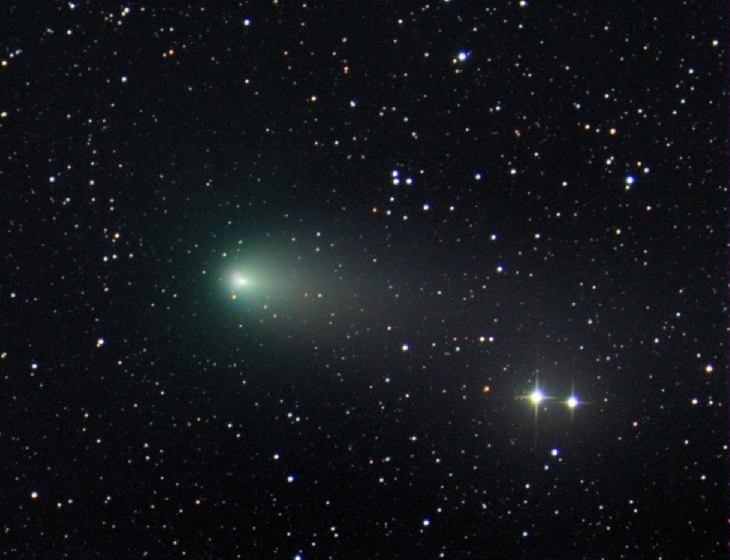 Comet Giacobini-Zinner is catalogued officially as 21P/Giacobini-Zinner. The “21P” means that it’s the 21st short-period comet to have its orbit calculated. The very first comet to have its orbit calculated (“1P”) was the famous Halley’s Comet. 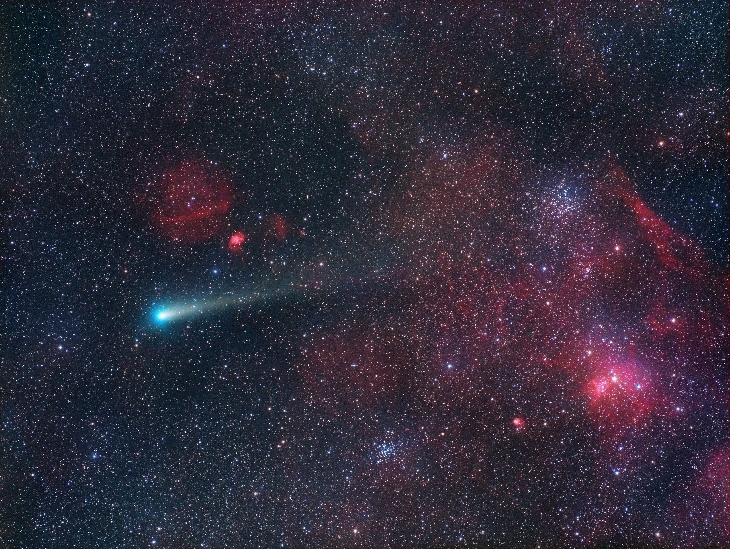 A short-period comet returns to the sun’s vicinity at intervals of 200 years or less. Comet 21P belongs to Jupiter’s “family” of comets, which contains hundreds of comets with orbital periods less than 20 years that don’t venture beyond the orbit of Jupiter. In other words, the biggest planet in the solar system has captured scores of small comets, and because of Jupiter’s strong gravitational field, it will occasionally perturb a comet’s orbit. Comet 21P’s orbital period varies between 6.4 and 6.6 years, so its perihelion — or its closest approach to the sun — can happen in any month. This happens because the comet’s orbit may shift a little every time it passes by Jupiter. This year, Giacobini-Zinner will arrive at perihelion on Monday (Sept. 10). 21P is a small comet, only about 1.2 miles (2 kilometers) in diameter, locked in a small and interesting orbit. It is more steeply inclined to the plane of the solar system (32 degrees) than all but about 1 percent of all known periodic comets. This unusual orbital geometry brings the comet to perihelion only five days before it crosses the plane of Earth’s orbit going from north to south (a point in its orbit called the “descending node”). Currently, this point in space is only 3.3 million miles (5.2 million km) outside of the Earth’s orbit, close to where our planet will be on Oct. 8. If the comet were to pass us on that date, it would be at its smallest possible distance from Earth while at opposition to the sun, which means the viewing circumstances would be at their absolute best. This almost happened in 1946 (when 21P reached the nodal crossing point 15 days too early) and again in 1959, but this time, the comet’s arrival here is 21 days too late. As to what you should expect to see, the brightness of 21P will probably hold at near seventh magnitude all through the rest of September. Unfortunately, seventh magnitude is below the threshold of naked-eye visibility even under a dark, clear sky, but using good binoculars or a small telescope and sky map depicting the comet’s path against the constellations, you should have no difficulty in spotting the object. Interestingly, in a few cases, the comet has experienced unexpected short-term outbursts in brightness around the time of perihelion, making it appear about a half-magnitude brighter. That would place 21P right at the verge of naked-eye visibility. With larger instruments and higher magnification, you might even catch sight of a jet or streamer extending out from the coma. When volatile material on the comet’s surface reacts to the harsh temperatrues and radiation fron the sun, material shoots out into space like a jet, creating streaks of light that appear to emanate from the comet’s coma. Walter Scott Houston, who wrote a column called “Deep-Sky Wonders” in Sky & Telescope magazine for nearly half a century, called M35 his “personal favorite open cluster.” In this cluster, faint stars form curves and festoons, with a reddish star in the center. This cluster will be the backdrop for 21P on the morning of Saturday, Sept. 15. And if you’re using a moderately large (6-inch aperture or greater) telescope, don’t be fooled by the faint, little, open star cluster NGC 2158, which is in the same field of view as M35 and looks like the head of a small comet. Back in 2012, in a column on Gemini, I shared how I stumbled across NGC 2158 and, for a few short moments, thought that I had discovered a comet. Many others have fallen into this same trap, including “Scotty” Houston himself! To figure out exactly where Comet 21P will appear, as viewed from a specific location and time, check out this ephemeris calculator from NASA’s Jet Propulsion Laboratory. You can also track the comet with NASA’s interactive app. It stands to reason that this Earth-kissing comet can also produce a stream of meteors (“comet crumbs?”) that can periodically interact with our planet. Skywatchers first noticed these meteors in October 1926, two months before the comet itself passed by, coming from the direction of the head of the constellation Draco, the dragon. 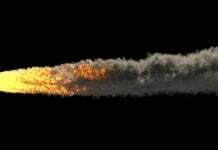 So, the meteors were christened the October Draconids, or Giacobinids. Stupendous meteor “storms” with rates of 4,000 to 6,000 meteors per hour accompanied the visits of 21P in 1933 and 1946. 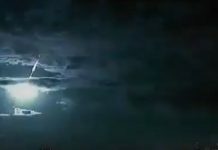 Nowadays, the Draconid meteor shower peaks around Oct. 8, but usually only in those years surrounding 21P’s return, especially very favorable ones (such as this year). On the evening of Oct. 8 this year, the Earth will intersect the plane of the comet’s orbit. Will we pass through an appreciable cloud of particles in the wake of the comet’s September passage? 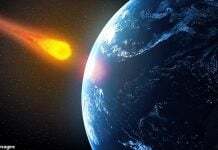 While a meteor storm is unlikely, it is possible. We’ll have more to say on this in early October, so stay tuned! That color green means .. Poison comet.